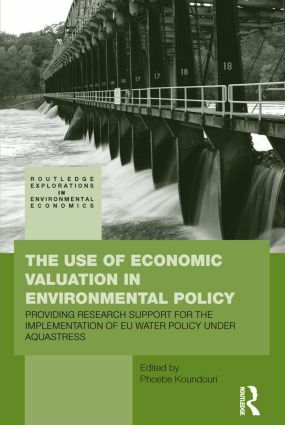 This book aims to show that economics in general and non-market valuation methods in particular, together with participatory and engineering tools, can facilitate the design and implementation of the different European policies in relation to mitigation of water stress. The results presented in this book derive from AquaStress, an EU funded integrated project, delivering interdisciplinary methodologies to help mitigate water stress problems. The project draws on both academic and practitioner skills to generate knowledge in technological, operational management, policy, socio-economic, and environmental domains. The book is divided in three parts and as the AquaStress project, is case study driven. Part I begins with a review of the up-to-date use of non-market valuation economic methods in the design and implementation of EU water policies. Part II of the book proceeds to discuss and analyze participatory and engineering tools that can facilitate the determination of efficient water resources policies and the consequent implementation of the EU WFD, using case studies of test sites from Bulgaria, Italy, Morocco and Poland. Part III of the book, brings us back to the use of economic tools and focuses on policy appraisal through social cost-benefit analyses and the choice/estimation of the socially efficient discount rate to be used in such analyses. The book concludes with specific policy recommendations for all case-studies considered in previous chapters. This work would be of most interest to water resources managers and policy makers as well as consultants working on the implementation of the WFD. It would also be helpful to students and scholars of water resource management.